Growing Talent 5 – What’s The Status? Well after a prolific pre-screening programme back in April, leading employers including Mitie, Harrow Green, Iron Mountain, Portico and MHFA selected 11 to join them on the Growing Talent journey. 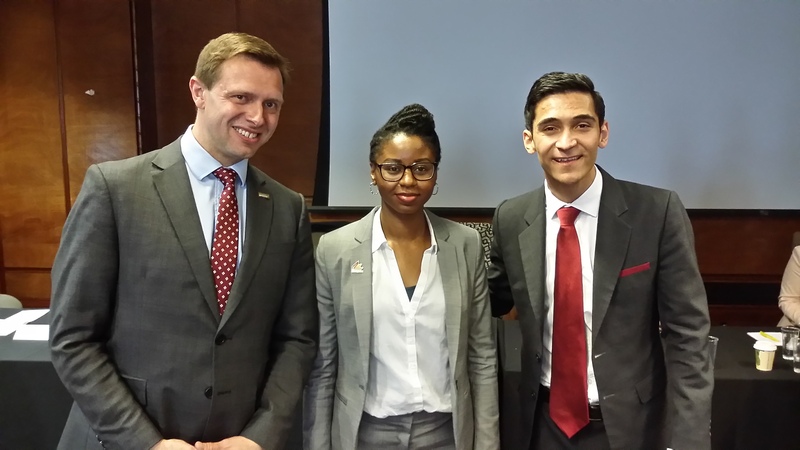 Jason, Bradley & Gavin went into operations roles with Harrow Green, the leading business relocation organisation, who also took Shanika in a Customer Service role and Jose who has joined their HR team. At the point of employment on completion, Jason, Bradley & Gareth will be skills multi operations assistants with a solid career path ahead of them. Jason is already learning the tablet technology and has his sights set on installation. Shankia had only retail experience and was a little worried on the office environment. She need not have worried! The team already feel she’s been there forever and is like a sponge when it comes to learning. She is enthused and supportive with a strong focus on customer satisfaction. The end job within the team will call for extensive liaison on the phone, in person whilst keeping a cool head in solution sourcing. Jose was born and brought up in Maderia. A strong trait of self-sufficiency saw Jose relocate to the UK a few years back to learn English. His career had largely been spent in hospitality. but a natural passion for people and business saw him undertake evening studies in CIPD HR. Working closely with the new HR Manager, Jose has a new project to deliver though idea, design, testing, launch, training. Mr Reece Worrell joined the Mitie team in the archiving department. The team look after all the information, records, contracts etc of a global financial firm. Better than Reece 1 & 2 is the use of ‘Mister’ – not a note of favouritism! Mr Reece Newton was selected by Gillian and Emma to join their small but industrious team at MHFAEngland based in Old Street in the role of Admin Assistant. Reece was initially nervous – taking time to make sure his work was accurate – especially when it came to producing the First Aider Certificates! 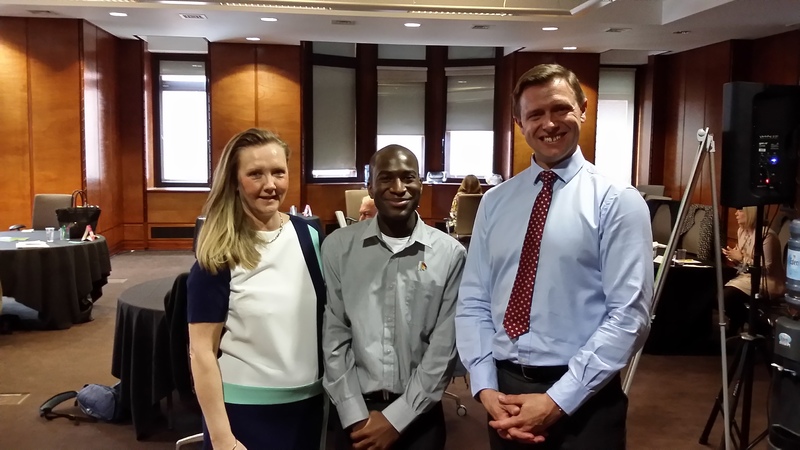 Gillian from MHFAEngland with Reece and Simon – Portico. 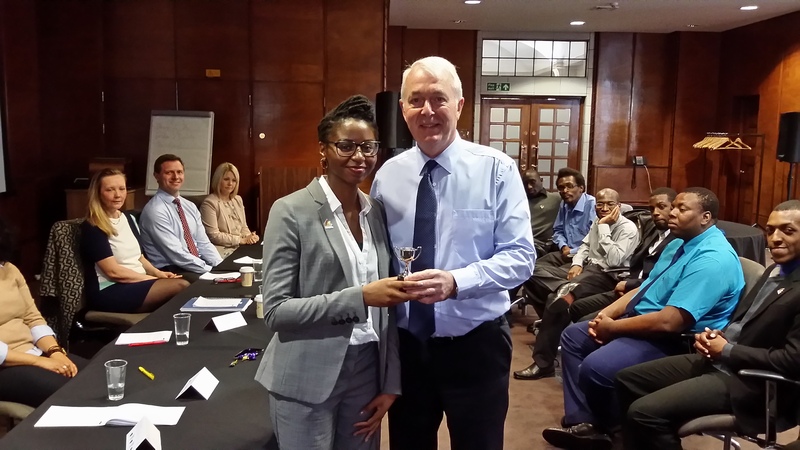 Pauline spotted Alenchenu’s potential to sine in her team at Mitie Service Solutions. As part of the Rapids team, Alenchenu has to ensure all deliveries of urgent items reach their destination efficiently. Not as easy as you might think! These items can be high value documents or personal IT goods. Based in the Charing Cross area, Alenchenu is looking forward to the end role and promotion prospects! Camilla was selected to join the Executive Welcome team with Portico working at global organisations in central London. This role is highly visible and customer facing. Responsible for meet and greet, direction, meeting room set-up, client safety on site, inter departmental liaison the Executive Welcome team work with all levels of personnel including Board. Camilla has embraced the challenge and is working very well. 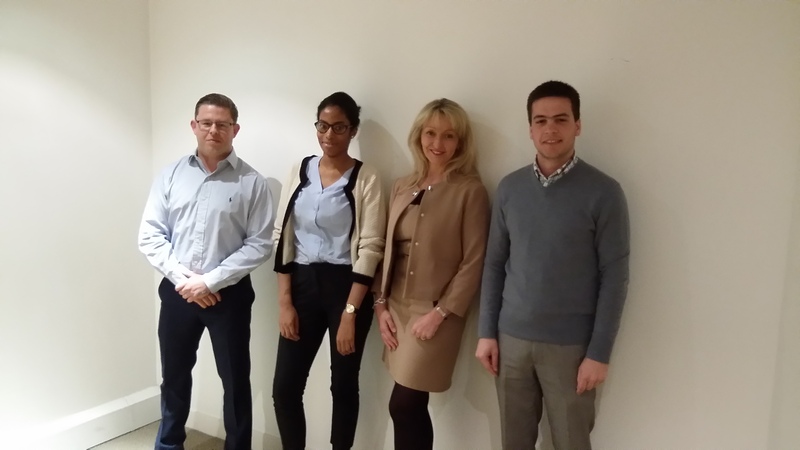 Simon, MD of Portico and Jordan, Welcome Team Executive – also Growing Talent Associate on the 2nd programme! – were judges on the Social Enterprise idea, the flagship workshop of the Orientation Week. The guys have all been on site for a week now and starting to get used to the routine of employment. Each have gone into roles open minded and hungry to learn. They are doing well and initial reports are encouraging. Watch this space to see how the guys progress over the coming weeks……………..
Next Whirlwind of Visits Last Week!